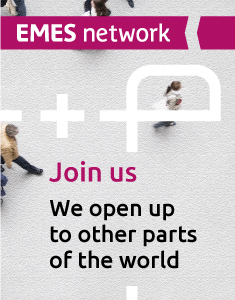 You are here: EMES - International Research Network | Publications | Conference papers | 5th EMES Conference Selected Papers | Social Enterprise: A new phenomenon in the field of economic and social welfare? Drawing upon insights from historical institutionalism, this article critically examines the origins of social enterprise and its emergence into the mainstream policy arena. It begins by relating the social enterprise idea to major non-state/non-private institutional traditions, including the European social economy, US non-profits and the UK charitable sector, and places it within the specific field of economic and social welfare. 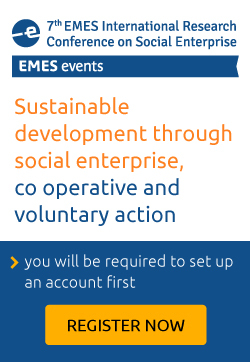 In so doing, the article contests the idea that social enterprise is a new phenomenon in the social welfare field and proposes instead that the supposed ‘novelty’ of social enterprise as an organisational form and a subject of public policy lies primarily in the nature of the socio-political and economic context of the 1980s-1990s, during which time it became ‘en vogue’. The process of institutionalisation of social enterprise and its ascension into the mainstream policy arena is examined in more detail in the case of England during the time New Labour was in office and beyond, and lessons are drawn from this experience concerning both the role that social enterprise plays or is expected to play as a vehicle to address economic and social needs, and how this is intertwined with both a dominant neoliberal discourse as well as alternative perspectives that emphasise more equalitarian and sustainable development paths. The article concludes with some reflections in relation to the apparent consensus that seems to exist around social enterprise as a legitimate subject of public policy and the resulting social enterprisation of public services which is currently taking place in England.